U-6 4 X 12 minute quarters, 2 minute rest between 1st and 2cd and 3rd and 4th quarters. 5 minute rest at half time. U-7/8 2 X 25 minute halves, with a 5 minute rest at half. All games are to start on time. 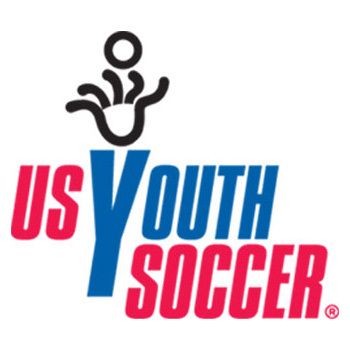 The minimum number of players will be 3 v 3 for U-6/7, 5 v 5 for U-8/9. Teams failing to start the game on time will have playing time reduced to have the game end on time. If the minimum number of players are present at scheduled start, then the game is to start. Do not wait simply because the entire team is not ready. Ball is provided by the home team and most be approved by the referee. Will be provided by HBC Soccer. Referees should be at least three years older than the players when possible. Each team will provide a linesperson to assist the referee by signaling out of bounds balls. The linesperson must be of an appropriate age and ability. Once teams are using referees, coaches are not allowed on the field of play during the game for any reason with the exception of an injured player and only after being signaled by the referee. Parents are not allowed to enter the field of play unless permission is granted by the referee and the coach. Violations will be grounds for a yellow card warning. There is a Zero tolerance policy for any type of dissent or abuse (physical, which includes gestures, or verbal) towards any referee or their assistance, or any unsportsmanlike behavior directed at any player coach or spectator. Dissent includes, but is not limited to: Questioning an official’s call (decision), voicing displeasure with a call in a manor that can be heard by the official, players or fans. A yellow card will be shown or presumed to have been shown for any violations. Any coach receiving a yellow card will be suspended for the next game. Anyone receiving a red card will receive at least a two game suspension. 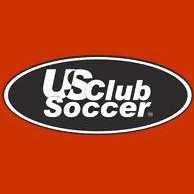 Any coach or parent/fan who receives a warning must meet with a designated Club Official before returning to games. Players may not wear anything that, in the opinion of the Referee or appropriate club official, may cause injury to themselves or other players. All players must wear proper shin guards that are fully covered by socks. Players may not wear jewelry or hard clips in their hair. Earrings covered by tape are not acceptable. Players may not play while wearing a cast of any type, even if covered. Appropriate footwear must be worn to match the condition of the field. Soccer cleats, while recommended, are optional. Goalie helmets that meet the referee’s approval are optional. All players must wear a complete uniform; shirt, shorts, shoes, shin guards and socks over the shin guards. The shirt must be a different color than the opposing team. During inclement weather appropriate long pants,( sweat pants or shirts), may be used providing there are no zippers, metal or hoods. The uniform remains the outer most layers. Goalies must wear a jersey that is a different color than either team’s jerseys. Any player who is not in compliance with any of these regulations will not be permitted to play. Play must stop whenever a player appears to have been injured. The injured player must come off the field as soon as possible to allow the game to continue and receive any care needed. Any player who appears seriously injured must be left wherever they are and and ambulance called immediately. Play will only resume once the players has been properly removed. A report must be filled by the coach and the referee. Substitutions may be made on any out of bounds ball by either team, with the referee’s permission. If a substitution is being made due to an injury, both teams may substitute any player, with the permission of the referee. Substitutions must be performed at the midfield line. Players are to leave the field of play before the substitute may enter the field of play. HBC Soccer will vigorously enforce the five goal rule. Violations will be reported and a meeting will be arranged between the offending coach and coordinator or other club official. A player who receives a yellow card must leave the field of play for a minimum of 5 minutes. A player who receives a red card will be automatically suspended for the next two games. A coach who receives a yellow card will automatically be suspended for at least one game. A coach who receives a red card will automatically be suspended for at least two games. Players, with the exception of the goalie are not permitted to slide or slide tackle. Players will be shown the yellow card for any deliberate violation of this rule. Any player, coach or parent involved in a fight either physical or verbal will be automatically suspended from the club. HBC Soccer will not entertain protest. Teams, along with their spectators, must occupy opposite sidelines and must remain 1 yard back from the touch line to allow the linesperson to be able to judge the ball and to prevent injuries to players colliding with chairs, baby strollers, etc. Coaches are directly responsible for all behavior and activity on their sideline. All team members, coaches and spectators must remain in an area no longer than 20 yards in either direction from the midfield line. No one is allowed near the area of the penalty area or behind the goal line. Play will be stopped immediately for anyone standing near or behind the nets for any reason. The home team will pick their sideline of the field, provide the game ball, set up the nets and flags and assure the field is in good order, e.g. no standing water, no unsafe hazards. Both coaches and the referee must confirm that the goal post are either secured to the ground or are held firmly down by two sand bags. Games will not start with goal post not properly secured. If a Club official discovers unsafe goal post, both coaches will be cautioned and receive a one game suspension. A referee who allows a game to start with unsafe conditions may be suspended for the following weekend The home coach is responsible to assure that a referee was assigned to the game and report to the Director of Referees immediately if a referee fails to arrive for a game. A coach who fails to notify his coordinator and the Director of Referees of a cancellation of a properly scheduled game at least two hours before the scheduled start time will be fined $25.